BETWEEN 2015 and 2050 the number of people living in cities will grow from about 4 billion to 6.3 billion. The UN estimates that the proportion of urban dwellers will swell from 54 per cent to 67 per cent of the world’s population. The figure is likely to swell to 77 per cent by 2100 ,with more than 8 billion people living in cities. This growth will largely occur in developing countries. 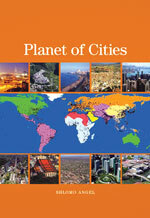 We are moving towards a planet of cities, argues urban planner and academic, Shlomo Angel, in his new book. Angel calls for abandonment of artificial limits on urban expansion and population growth and instead seeks economic development and improvement in the quality of life. Angel is a member of the Urbanization Project of New York University and conducted his research as a fellow at the Lincoln Institute of Land Policy. He provides a detailed, data-driven analysis filled with maps of world urbanisation patterns, as well as charts and tables documenting the challenges facing global cities. The book, however, is much more than an interesting exercise in urban statistics. Angel is an unabashed supporter of urbanisation. He argues that the movement of people into cities cannot be stopped. Trying to slow down urbanisation and even stop it will hurt the poor the most. Planet of Cities argues against the one-size-fits-all approach that seems to be the stock-in-trade of many urban planners today. The city-building required today is not so much about tearing down existing areas for slum clearance and urban renewal, but rather making realistic plans for new urban land. That, Angel says, requires planning for expansion and infrastructure as soon as possible. He argues that the density of some cities is too high and should decrease and that of some is too low and should increase. For example, explains Angel, Dhaka is overcrowded and there is not enough living and working space per person. It needs to expand and suburbanise so that its densities can be reduced. He says cities in most developing countries (and in some European countries) are in the sustainable range. They allow for adequate living and working space, and yet are dense enough to support public transport, so as to limit energy use and carbon emissions. But a large number of cities in the US, Australia, and Canada contain vast areas where densities are too low to support public transport. As a result, these cities use more than a fair share of energy—through use of personal vehicles—and they generate more than a fair share of carbon emissions. Angel does not mince words about the consequences of urban containment policy—smart growth, the management of growth, compact cities—as a strategy for reducing greenhouse gas emissions. Such solutions are apt only for cities whose population densities exceed sustainable levels. In other cities, containing growth would mean protecting the planet would victimise the poor. Angel argues that strict measures to protect the natural environment by blocking urban expansion could “choke the supplies of affordable lands on the fringes of cities and limit the abilities of ordinary people to house themselves.” Angel criticises the notion that “cities should simply be contained and enclosed by greenbelts or impenetrable urban growth boundaries” as “uninformed and utopian” because it makes sustainability “an absolute end that justifies all means to attain it.” This policy approach sacrifices such imperatives as the quality of life and full employment. The classic example of the containment paradigm is Seoul, where the establishment of a green belt in 1971 prevented the conversion of land to urban use in a 1,500 sq km area surrounding the city. Urban growth burgeoned in the permitted area and led to the development of satellite towns and edge cities outside the greenbelt area. This has led to increased commuting distances and higher carbon emissions. Within the city, restricted supply of land has led to sky-rocketing house prices. All this leads Angel to argue that the housing problem in cities of developing countries is fundamentally a land one. When the poor can get access to an affordable plot of land, they will build their own houses by themselves using their savings and their sweat equity, with financial help from family, employers and acquaintances. He believes housing will remain affordable—both in the formal and informal housing sectors—as long as land on the urban fringe is plentiful and affordable. Angel also argues against old style cities, which had one—or two or three—city centres. 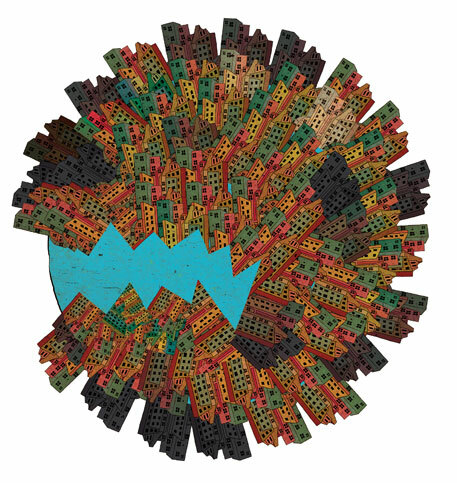 He suggests spheres of economic activity spread across cities and in suburbs. He believes if public transport is to be a viable option in areas of expansion to economise on the energy expended and to limit greenhouse gas emissions, then it cannot be limited to continued reliance on radial routes to the city centre. Angels’ arguments are healthy corrective to planners’ penchant to look for uniform solutions. However, they also seem too mechanical to fit in with the chaos of the Third World. What about countries with rural populations equally dense as urban populations. There, the sprawl is a result of a rural area changing character. This explains the growing tensions between people holding land in rural areas in countries such as India and real estate developers. 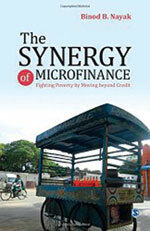 THIS BOOK emphasises the significance of innovative financial and risk management tools in microfinance institutions. It undertakes a nuanced analysis of financial instruments-microcredit, microsavings, microinsurance, microleasing and payment systems for money transferand non-financial services such as social intermediation, livelihood promotion and access to broader market place. It argues that exclusive access to microcredit alone may not suffice in alleviating poverty on a mass scale and could pose a financial risk for poor households or households that over-borrow. There is also a discussion on the Andhra Pradesh microfinance crisis of 2010, and the developments that took place in its aftermath. THIS BOOK will help not only the millions of people with gluten/wheat intolerance, also known as celiac disease, but all those who prefer to avoid wheat. With the alarming rise in the incidence of celiac disease, this book is a boon as it provides information on the disease and ways to manage it without having to give up any favourite foods. This complete guide to gluten-free living is based on scientifically established principles of healthy eating and includes essential facts about a balanced diet that are of interest to all. The book features nearly 200 quick, easy-to-follow, practical and delicious recipes: pan-Indian, southeast Asian and Continental. 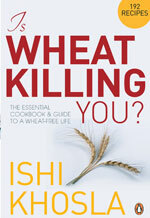 Ishi Khosla explains how grains can affect your health and profiles those at risk for gluten sensitivity.